The Radical Pro 65 is specifically for junior racers with an easy-to-flex, mechanically-hinged design. 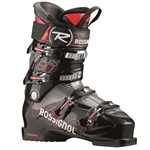 The progressive 65 flex makes this the ideal boot for J5 and J4 young racers to perfect their skills. 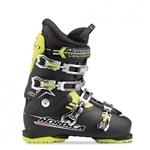 2013 Nordica Ace of Spades Team Ski Boots:Created for the up and coming Park and Pipe skier, the newest technology and design brings a 3 piece boot that is the lightest on the market. The CRUISE is the optimal boot for the skier looking for a comfortable product that offers technology and features that will allow them to advance to the next level. The Radical Pro 70 is specifically for junior racers with an easy-to-flex, mechanically-hinged design. The progressive 70 flex makes this the ideal boot for J4 and J3 young racers to perfect their skills.